Yarnmarket had an open house today at their warehouse in Pickerington. They have them from time to time and one of my stitch groups goes out together. 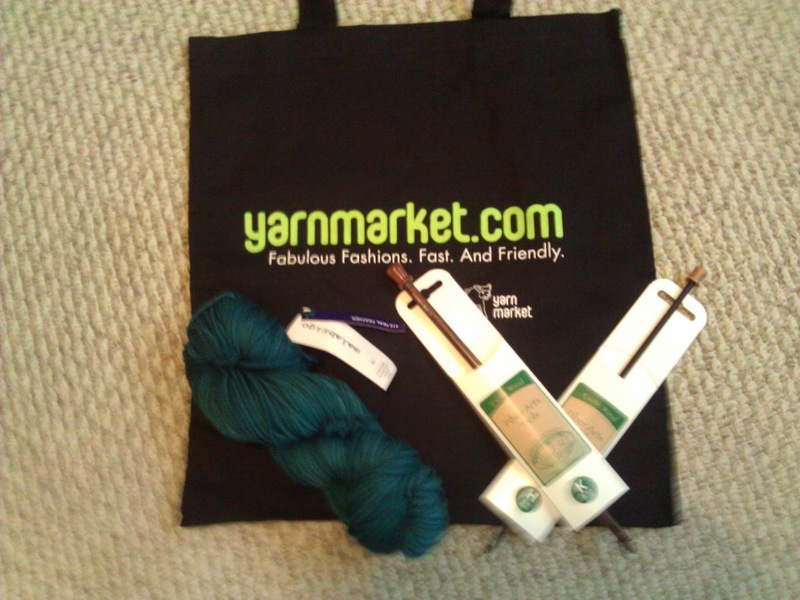 I know I've posted about Yarnmarket in the past, but I gotta share my love when I can. The ladies there are just so amazingly wonderful. I cannot imagine the joy and pleasure it would be to work there. I went in today with a very specific need and restricted myself to this one hank of yarn I needed. And allowed myself one special treat. And also had a budgeted dollar amount I could not go over. I was successful, for the first time ever at sticking to my guns. It's nearly impossible to restrain yourself there, I swear. IT'S A FREAKING WAREHOUSE FULL OF YARN!!! Anyway, I got the one hank of yarn I needed and my special treat was 2 Tunisian crochet hooks, size H and K. I've decided to learn some simple Tunisian. I love trying new things!! I got a free tote bag too!! There be my loot! Now.... off to get some hooky time in!! Laughing at The Hooky Time, hope you did indeed get it in and it was fabubulous!! I did and it was fabulous! And I'm so flattered you read my humble little blog!